From the opening moments of this CD, it is obvious that this Swedish band has greatly matured. The follow-up to 1992's well received but unspectacular debut Lonely Land, One Man Tell's Another features solid musicianship, diverse writing, strong production, and most of all an original sound which doesn't reflect the usual progressive influences. The five band members spread the writing duties around, and while the (English) lyrics, full of personal melancholy and angst, are rather thematically similar throughout, the music benefits greatly, covering a variety of styles over the seven songs. There is no outstanding musical virtuosity or complexity, but with some novel sounds and fresh chord progressions, the album moves beyond the more typical symphonic prog of their first album into areas that are more difficult to define. It is hard to point to any specific group or album that seems to be a predecessor to One Man Tell's Another; perhaps the latest Sylvian/Fripp album or even Talk Talk may exhibit similarities in mood and style, but that does not adequately describe this music. For much of the CD, the rhythm section is used to set up a strong foundation — I hesitate to use the word "groove" — that is developed and accented by the excellent use of dynamics and instrumentation, as well as the wonderful production. Some of the most tasteful use of the Mellotron in recent years can be found here. The modern sound of the album is an odd context for this well-traveled instrument, but it works extremely well and helps to create a unique atmosphere. Of all the band members, guitarist Reine Fiske is featured most prominently, but this remains very much a group effort. The lyrics, music and other elements are all brought together in each song into a strong, cohesive whole that is very engaging. One Man Tell's Another at times seems to fall into the nebulous area between prog and progressive pop; the sort of album that might perhaps bridge the gap to a larger audience for progressive music in general. Even if not, it still stands as a solid and original contribution to the 90s prog scene. I am not usually one to fall for this type of music, but I found Landberk's latest release to be impressive and thoroughly enjoyable. My first reaction to hearing this, the latest release from yet another of Sweden's newer bands, was, "What?" The opening chords sound all too similar to half a dozen or so U2 songs. However, this moment is soon over, and while Landberk has taken a slightly different approach here than on their debut, they haven't sold out or commercialized. Landberk has never been a band to impress one with complexity, rather they take a more atmospheric approach. The use of analog instruments and soft, yet ominous, interludes, reminds me of the slower moments of early Black Sabbath, with a touch of Crimson thrown in. While the guitarist has a style that mixes heavy riffing and discordant melodies, the rest of the band does little more than follow along. Throughout most of the album the drummer plods along, though he does lay down some interesting beats on a few of the tracks. The bass and keyboards add to the atmosphere, but contribute little else. Vocals are entirely in English this time, and the vocalist's style is very hit or miss. While some may like his strained singing, I find it rather distracting. Landberk's emphasis seems to be on vocally-oriented music, with predictable rhythms and structures. This isn't a bad release, though I find that little of it moves me. Outside of the guitarist's interesting textures and the brooding intensity, this album leaves me wanting. Recommended to those who enjoyed Landberk's debut. 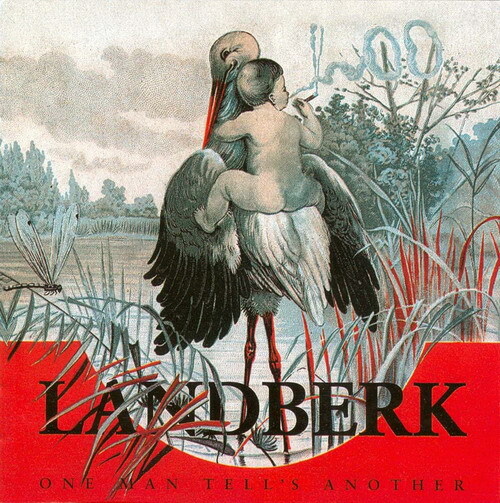 Landberk are one-third of the new wave of prog-rock from Sweden, along with countrymen Änglagård and Anekdoten. As with the other two bands, the sound here is based mostly upon organic, 70s-style instruments (like Hammond organs, Mellotrons, Rickenbacker bass, etc.) but with a 90s edge in the writing and production. One Man Tell's Another is Landberk's second offering and those who enjoyed their first one (Lonely Land) are sure to enjoy this one as well. The band is a five-piece, with a dedicated lead vocalist. But for a frontman who doesn't carry any other weight in the band, Patric Helje's voice is pretty thin and lacking confidence and strength. Furthermore, the lyrics (in English) suffer from the same overblown gothic imagery that Anekdoten's did (ex. "I am lonely/Wonder how you feel/Sit in darkness/Naked in my room"). While Landberk sound very much like Anekdoten overall, they approach the music with significantly less enthusiasm and energy, the result being like a subdued boil rather than the explosiveness the writing begs for. Since they also take a much simpler approach in songwriting, perhaps this suggests Landberk are already pushing their limits as an ensemble. There certainly are some fine moments on this album, but not enough to seriously compete with Änglagård or Anekdoten in this arena.